Thermal Transfer Overprinting (TTO) is a technology that creates images in high-definition by pushing a ribbon into contact with a substrate (the surface you wish to print on) using a printhead. Our feeders are designed to work with a conveyor belt that placed in front of a printer for printing flat packaging for different industries. 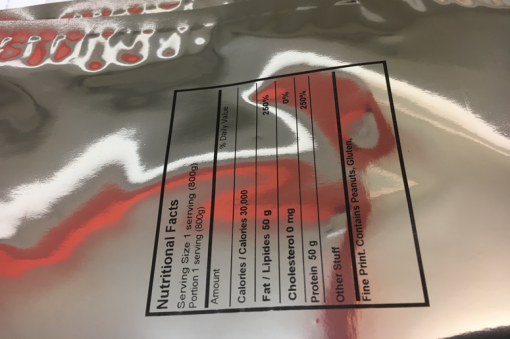 While products are moving continuously or intermittently, we are able to mark Direct to Pouch with Inkjet or Thermal Transfer Printers. We can adjust the printing area with very sensitive sensors. It is very easy to use our systems. Saito are a solution-based company 30 years since we started out in the labelling industry. Over that time, we have worked with businesses in just about every sector; from food manufacturing to forestry, hospitals to horticulture. Saito treat every inkjet or TTO project as unique and work towards the best solution in terms of technology, ink and budget. 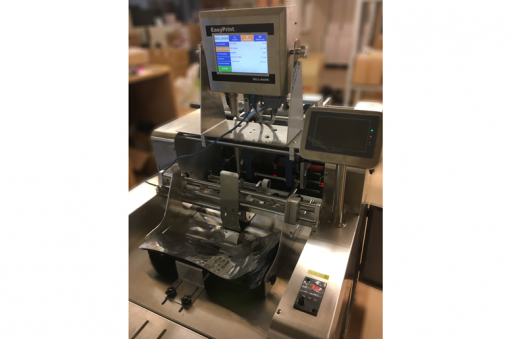 A special designed tabletop TTO printing station for mounting of TTO printer with manual feeding for all type of material such as laminated pouches, PE, PP, Nylon bag, label, folded box, envelope, card etc. This tabletop TTO printing station is very suitable for difficult materials that cannot be feed or separated by friction feeder. 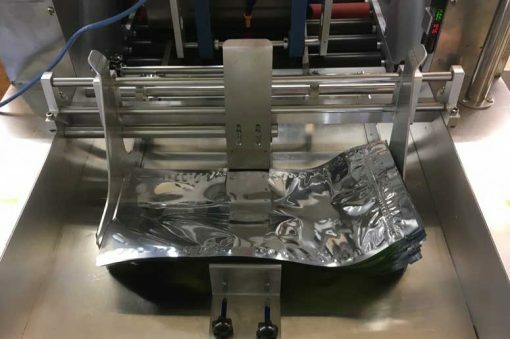 It can also be attached to the TF04-300 or TF01-400 friction feeder to become a fully automatic feeding and printing system. Easy change over of sizes without tools. We approached Saito labels looking for a professional yet cost-effective solution to our issue of complex pouch labelling. Complexity was driven by the vast differences in labelling requirements of our various customers in multiple international markets. We were not happy with the presentation of the labelling system in place, yet nor was it practical to look at pre-printed pouches. Even after visiting numerous trade shows we had not found a solution, until we contacted Saito. Saito listened to our issues, constraints and developed an offer that whilst a significant capital investment, offered ongoing savings to the status quo. The process of delivering the solution was not without challenges given the system developed was unique to us. However, Saito provided the necessary support throughout the process to ensure the result was more than acceptable. All staff, Factory and Sales are impressed with the final solution and the ongoing support by the Saito team. A unique solution was jointly developed and then honed to a very satisfactory outcome. We also pride ourselves on delivery partnerships, with conveyor or engineering companies to deliver a total solution.